Press Specifications – Impressions in Ink, LLC. Featuring Komori’s digital photo spectrometer, that “automatically” measures and adjusts ink densities throughout the run. 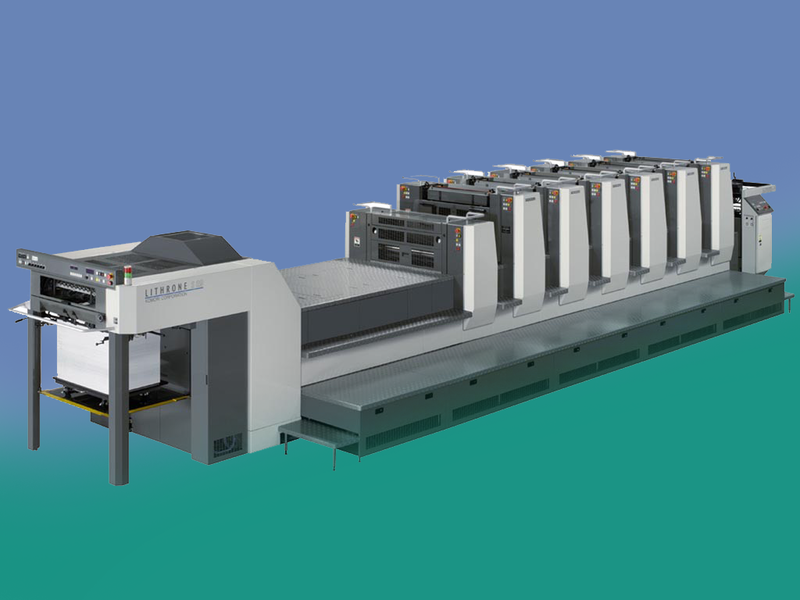 The in line annilox coater decreases drying time significantly helping to expedite bindery and completion. Maximum sheets size is 20-1/2 x 28-1/2. Capable of printing up to 24 Pt. Board.